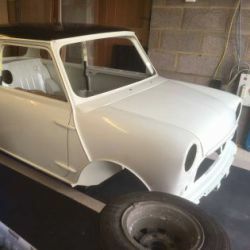 I'm re-building my old MkII Cooper S as featured in the magazine last December in Nick Hunter's piece and I have a question. Does anyone know where the compression spring goes in relation to the hydrolastic suspension system on the back of a hydro car? I didn't find them on the dismantaling of the car but have noticed it features in the various sales diagrammes, Mini Spares etc. Anyone know what it's for and where it goes? 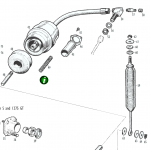 I've attached a picture of an exploded view. It's part 49. Solved, it goes inside the strut.